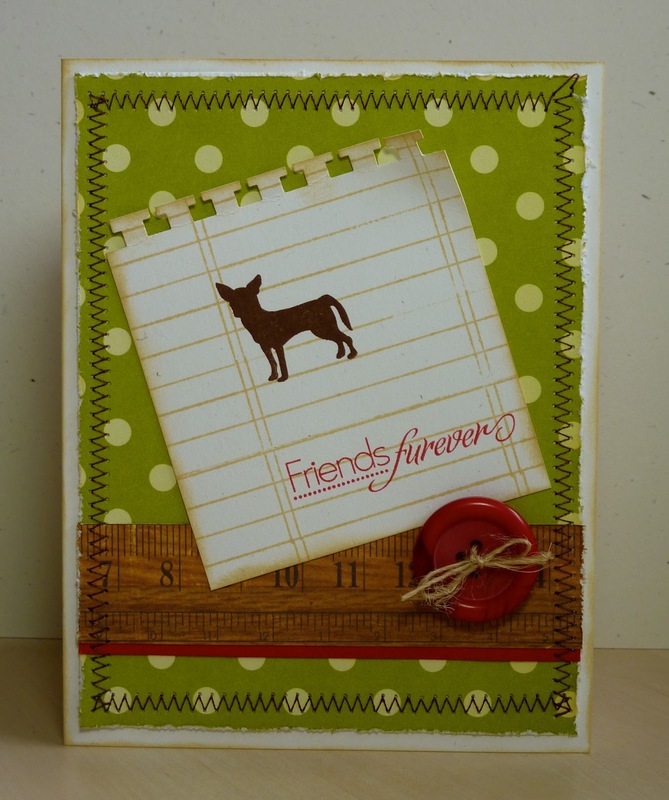 crafting with katie: Guest Designing Today! Hi, today I am guest designing for Liz, an amazing crafter and a wonderful friend, who is over at Liz's Paper Loft! 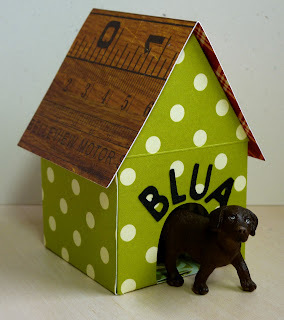 For my project, I made a little gift for my niece, who is in love with her puppy, Blua. I thought Liz would enjoy this too, since she has an adorable new addition to her own family! Now, Liz has some exciting news to share with you, but not quite yet. However, in the meantime, while she's recovering, she is reading every comment! Not only is she reading them, but she's counting them too, because at the end of all of this she will have two big announcements! The first will be a winner of some exciting BLOG CANDY! The second, it's a big one... and no, she's not coming out with stamps... you'll just have to wait and see! So be sure to head over to her blog and leave a comment for a chance to win! Super cute!! Quick question did you used an Expression 2 for the dog house?? I have the TBBM2 cartridge and just ordered the scoring blade but can't find out how to use the Expression 2 with it!! Katie ~ OMG! How ADORABLE is your project! Seriously! I jujst LOVE the paper and ALL the details! Oh you used your sewing machine again! What a GREAT touch! LOVE the little dog too! Your niece is just going to ADORE this! The sentiment is just PERFECT! I am soooo LOVING this project! FABULOUS job!!!! wow its so adorable, love it !!! Love your project Katie! 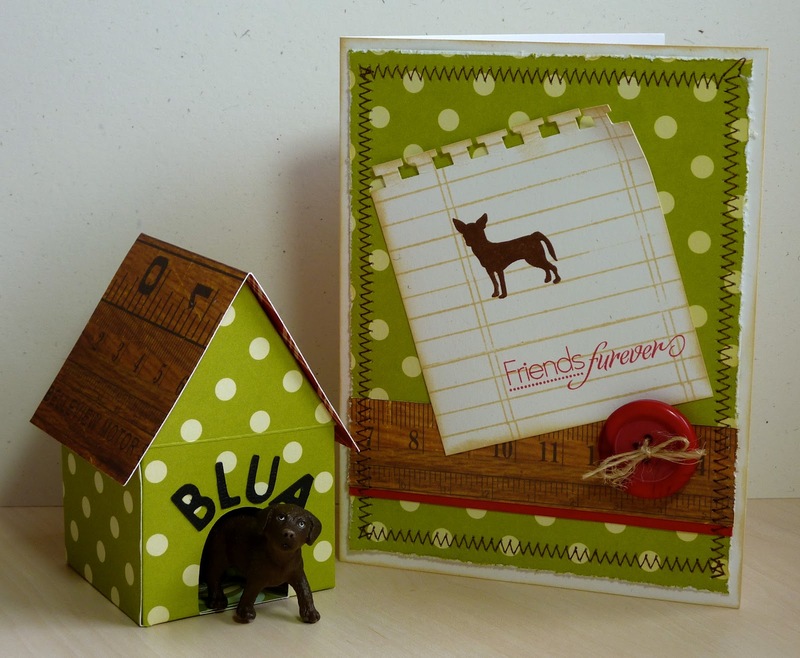 Isn't that cartridge fun...I just love your little dog house and the papers you used are super cute! Nice job! Great job on your project...what a great cut. 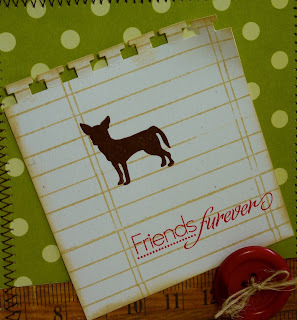 Clever to use the dog stamp...I had forgotten about the dog.